We’d love your help. 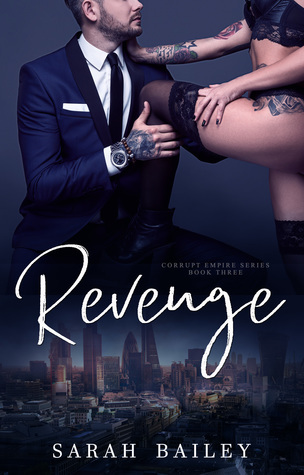 Let us know what’s wrong with this preview of Revenge by Sarah Bailey. I'm so stoked for Revenge to come out on the 15th May! I'm so happy so many people have enjoyed the second book. Revenge is going to blow your minds. I swear this book gave me so many feels whilst writing it. Ending Avery and Aiden's story was an emotional time for me and I can't wait for you to all to see whether they come out the other side or is everything left in ashes and dust.